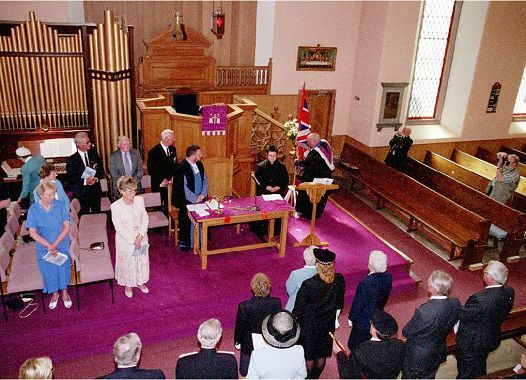 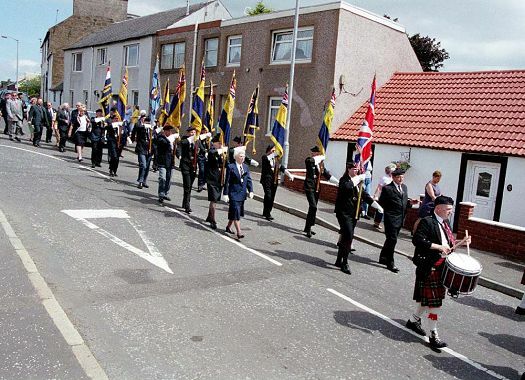 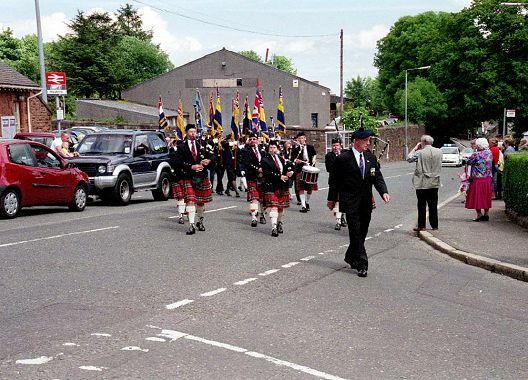 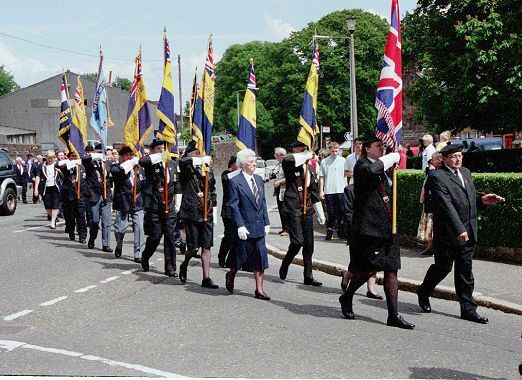 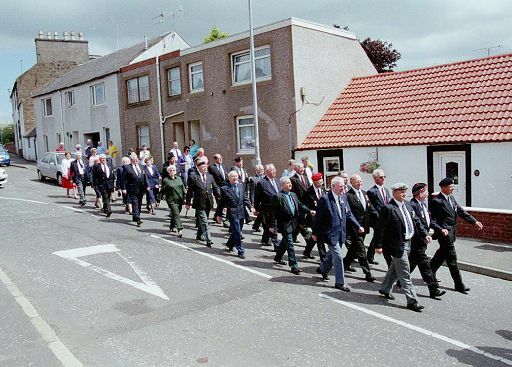 On Sunday, June 24, 2001 the Maybole Branch of the Royal British Legion and the Women's section of the branch held a joint parade and church service. 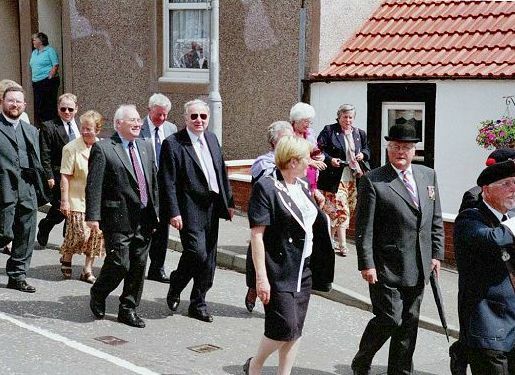 This was to mark the 80th anniversary of the Maybole Branch, founded on June 28, 1921, and the 50th anniversary of the women's branch ( July 4, 1951). 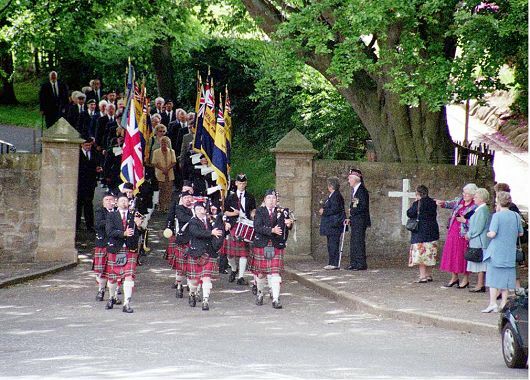 The parade left Greenside at 2:00 and during the ceremony, the women's Royal Standard was laid up for safe keeping in the West Church. 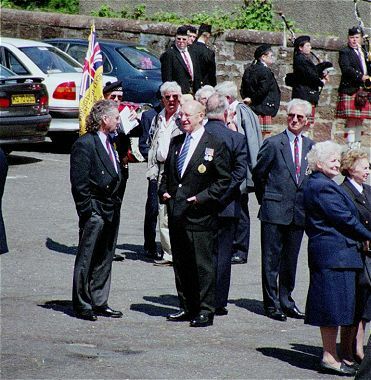 These photographs of the event were taken by local photographer Fred Westcott. 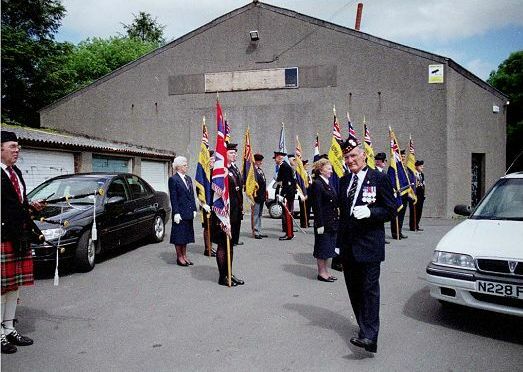 Click on the images below to view them full size. 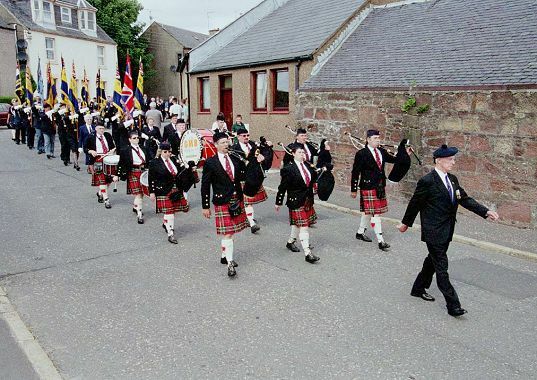 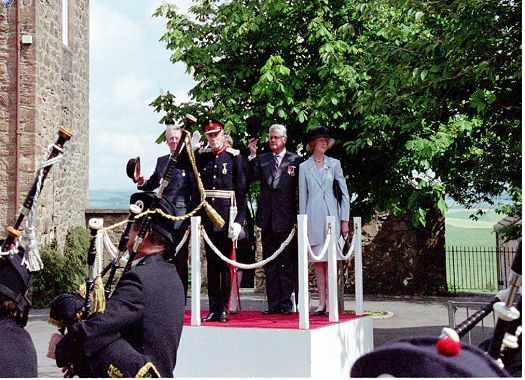 See also the Maybole's commemoration of the 50th anniversary of the coronation of the Queen, the video of the Drumhead Service of 21st August 2005 and Drumhead Service August 20th 2006.